Too often we get caught up in the cycle of messaging only to realize that we are slowly alienating some our active responders. Too often we get caught up in the cycle of messaging only to realize that we are slowly alienating some our active responders. It got a little too much with email and is now quickly moving to where the consumer could be getting hammered by a constant barrage of email, mobile messages, and lots of ‘friendly’ messages on social media. To be successful in your messaging you need to make sure that you put yourself in your consumers shoes. First, make sure things work. Test your messages to make sure that nothing is broken in your campaigns. Take it to the next level by even testing out how different messages might be received by sample groups before releasing it out to the entire list. Second, learn to listen to what your consumer is saying. Look at their preferences, track their clicks, read their feedback, & listen to what they are saying on your social media channels. Now leverage that information back into your messages. Third, make sure that you are not exceeding the perceived value of your campaigns. Watch the frequency and volume of your messaging. You need to learn to gauge how tolerant your consumer is of your messaging volume. Ensure your message value by focusing on the relevancy and timing of your offer – will the recipient think your message is relevant? Ask yourself that with each campaign you create, edit down as much as possible, if your message doesn’t pass your initial test revise it, consolidate, personalize and make it relevant. For the timing aspect, look to implemented triggered campaigns for some of your frequently needed or sent items – automate requests for more information, welcome, transactional (shipping) and thank you messages. All of these triggered examples factor outside of your standard messaging and are typically viewed separately by recipients because of the cause or effect type exchange. They will also be great revenue generators for your brand. 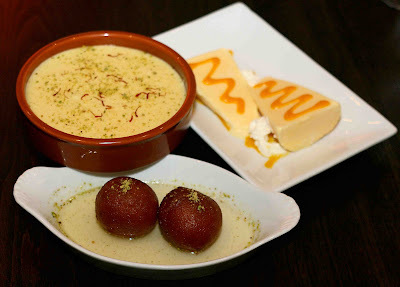 Many thanks to Guglee Restaurant in London for allowing me to feast on their desserts and share the pictures.